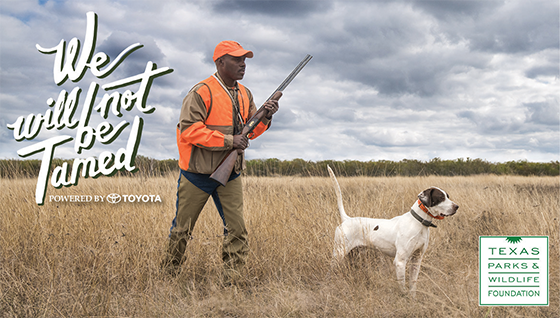 Leon McNeil has a passion for quail hunting. As a successful South Texas guide, he is busy with clients from November through February, while working full-time as a middle school coach. He also leads a nonprofit called City Kids Adventures, which mentors inner city kids through outdoor experiences. Leon's passion for the outdoors and passing it on to the next generation is why he was chosen as an ambassador for Texas Parks and Wildlife Foundation's (TPWF) We Will Not Be Tamed campaign. We Will Not Be Tamed calls us to appreciate the wildness of Texas, the vastness of our Texas spirit and why we should be inspired to conserve it. Leon McNeil personifies that message. Thanks to the support of sponsors and landowners, hundreds of kids have been introduced to camping, fishing, kayaking and hunting through Leon’s program. Earlier this year, a small group of City Kids took part in a South Texas feral hog hunt, which is the topic of this month’s podcast. Leon McNeil encourages all Texans to get more involved in conservation. One way to do that is by joining Texas Parks and Wildlife Foundation as a member. Thanks to TPWF members, beloved wildlife species like quail will be enjoyed for generations to come. And, if you join TPWF by the end of the month, you’ll be entered into a TPWF drawing to win some fabulous outdoor gear from our Trailblazing Texas partners. 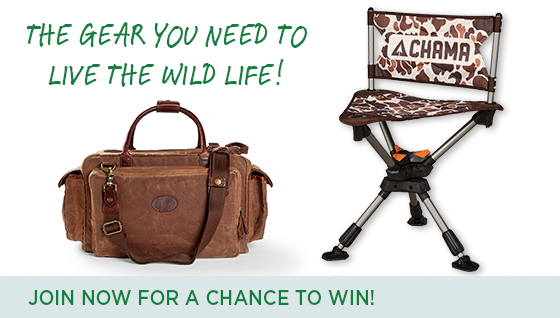 This month, a lucky new member will win a King Ranch hunting gear bag and a CHAMA chair, touted as one of the best all-terrain hunting chairs on the market today. *The price of membership pays for TPWF membership only and not for the chance to win the King Ranch hunting gear bag and CHAMA chair. Members who join by Sept. 30 are automatically entered in the drawing. As an avid quail hunter, Leon McNeil appreciates the work TPWF is doing to conserve quail in the Lone Star State. Over the past century, grassland birds such as the northern bobwhite have seen declines of as much as 93%. While there are a number of complex issues involved in these declines, the primary cause is a loss of suitable grassland habitat. That’s why TPWF is supporting the Grassland Restoration Incentive Program, which is restoring and enhancing grassland habitat on private lands across Texas. 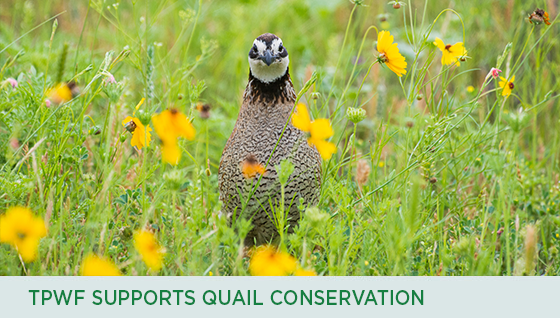 TPWF also funded a new quail position for Texas Parks and Wildlife Department (TPWD). The West Texas Quail Program Leader at TPWD is responsible for collaborating with private landowners, sportsmen, and other partners in the design and implementation of quail management techniques and research projects on public and private lands throughout West Texas. TPWF also launched a new quail license plate in 2018 to support quail conservation efforts across the state. 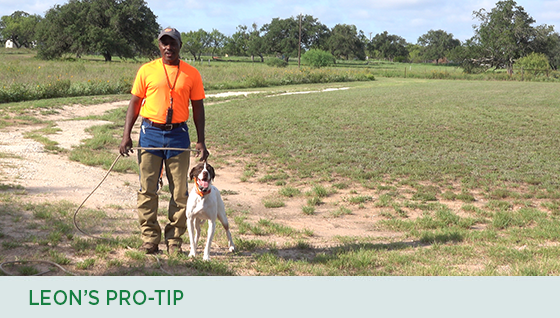 During quail season, Leon McNeil spends every single weekend in the field with his highly trained dogs. He has a sterling reputation as a South Texas hunting guide and is busy with clients from the first day of quail season to the last. While he demurs at being called an expert dog trainer, those who have seen him in action would beg to differ. We asked Leon to share a few training tips. 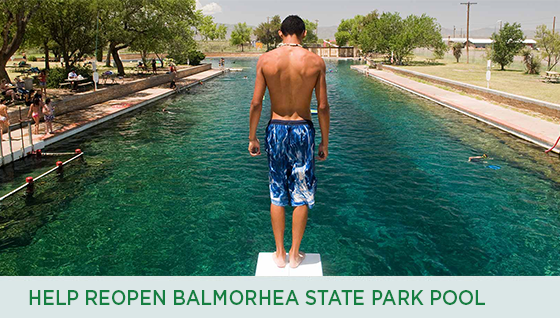 Texas Parks and Wildlife Foundation has established a fund to raise $2 million for pool repairs at Balmorhea State Park. Apache Corporation is providing a challenge grant and will match gifts up to $1 million. The iconic spring-fed pool at Balmorhea State Park in West Texas has been closed since early May after part of the structure collapsed during the pool’s annual cleaning. The labor-intensive repair job will fix the damage to the concrete apron used to stabilize the diving board along the east headwall. TPWD reports that months of thorough evaluation, including extensive geotechnical examination, found that the structural failure was due to years of undermining erosion behind the wall caused by the flow of water from the springs. You can help reopen the pool and double the impact of your gift with this challenge grant. The Texas Master Naturalist Program will celebrate 20 years of hands-on conservation at a gala event in October. Over the course of its 20-year history, the Texas Master Naturalist Program has trained over 11,000 people who have engaged in almost 4 million hours of volunteer service restoring native habitats, creating outreach events, building community awareness and conducting research and citizen science efforts. Sponsored on the statewide level by Texas Parks and Wildlife Department and Texas A&M AgriLife Extension Service, the Texas Master Naturalist Program is hosted locally by 48 chapters across the state. 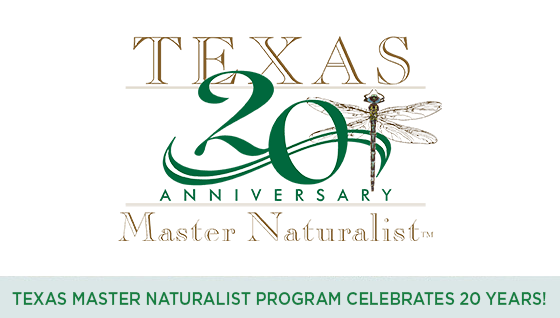 The Texas Master Naturalist 20th Anniversary Gala will be held Thursday, October 25 at the Sheraton Georgetown.